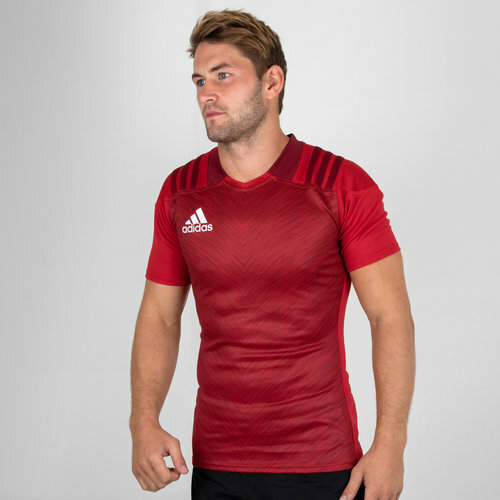 Take training & your game to the next level with this adidas Rugby Training S/S Shirt in Red. Refine those skills on the rugby pitch when you're training with this rugby jersey on. It comes crafted using soft pique fabric for a comfortable fit and feel. This shirt allows the wearer to concentrate on the game with its lightweight feel.